Today is Pi day. Yes it is 3.14 or in the calendar sense 3/14. Math fanatics are all celebrating in one way or another so I thought I should join in with their fun. Even my daily newspaper crossword puzzle has a Pi theme. 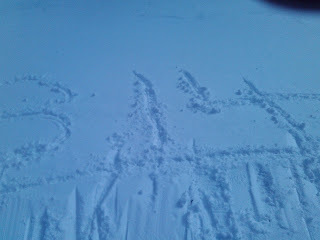 So as a skier on the freshly powdered slopes I thought it appropriate to add a Pi signature to some virgin snow. Thus a stop on the Odyssey slope at Greek Peak to add Pi to the winter scene. See the photograph below for verification. 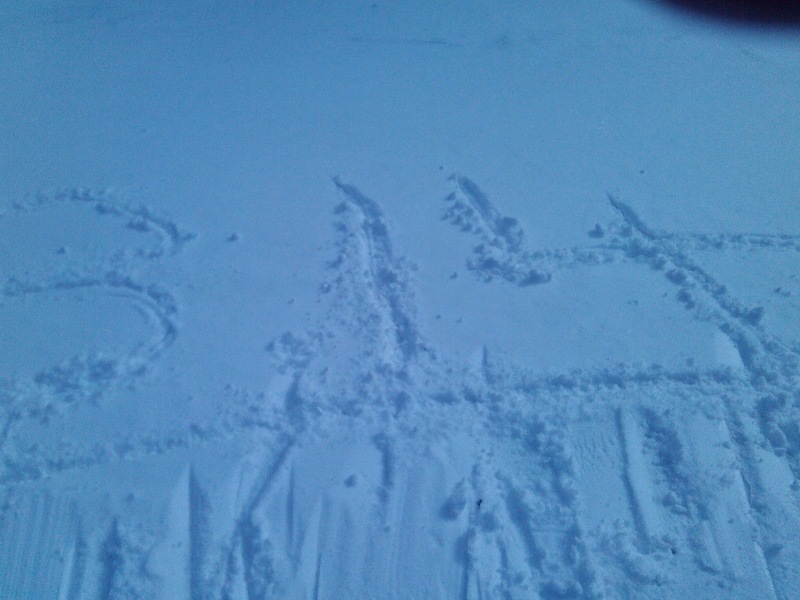 Yes, I made a Snow Pi(e). I wonder what kind of Pi(e) I could bake to consider it a "snow" Pi(e)? Oh well, I think I will just bake a white cake with white frosting for my dessert to charge up my energy for another day on the slopes.